Ultram is used for pain relief. 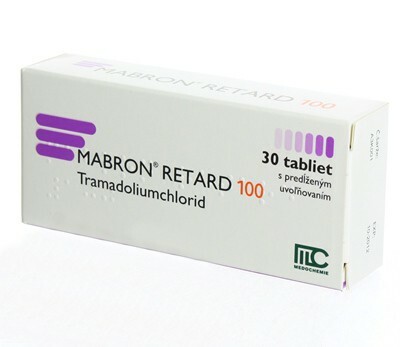 Take this medication orally as prescribed. It is usually taken every 4 to 6 hours as needed. Use this medication exactly as prescribed. Do not increase your dose, use it more frequently or use it for a longer period of time than prescribed, because this drug can be habit-forming. Also, if used for an extended period of time, do not suddenly stop using this drug without your doctor's approval. When used for extended periods, this medication may not work as well and may require different dosing. Consult your doctor if the medication stops working well. This medication may cause dizziness, weakness, in-coordination, nausea or vomiting, stomach upset, constipation, headache, drowsiness, anxiety, irritability, dry mouth, or increased sweating. If any of these effects persist or worsen, inform your doctor. Notify your doctor if you develop any of these serious effects while taking this medication: chest pain, rapid heart rate, skin rash or itching, mental confusion, disorientation, seizures, tingling of the hands or feet, trouble breathing. In the unlikely event you have an allergic reaction to this drug, seek immediate medical attention. Symptoms of an allergic reaction include: rash, itching, swelling, dizziness, breathing trouble. If you notice other effects not listed above, contact your doctor or pharmacist. Tell your doctor your medical history, especially of: kidney disease, liver disease, seizure disorder, lung disease, history of drug or alcohol dependency, any allergies you may have. Limit alcohol as it may add to the dizziness or drowsiness effects caused by the medication. Because this drug may make you dizzy/drowsy, use caution performing tasks requiring alertness such as driving. This medication should be used only when clearly needed during pregnancy. Discuss the risks and benefits with your doctor. Tramadol is excreted into breast milk. Because the effects on a nursing infant are not known, consult your doctor before breast-feeding. Inform your doctor of all prescription and nonprescription medications you may use, especially of: carbamazepine, narcotic pain relievers (e.g., codeine), drugs used to aid sleep, antidepressants (e.g., SSRI-types such as fluoxetine or fluvoxamine), MAO inhibitors (e.g., furazolidone, linezolid, phenelzine, procarbazine, selegiline, tranylcypromine), psychiatric medicine (e.g., nefazodone), "triptan"-type drugs, anti-anxiety drugs (e.g., diazepam), sibutramine. Also, report use of certain antihistamines (e.g., diphenhydramine) which are also present in many cough-and-cold products. Do not start or stop any medicine without doctor or pharmacists approval. If you miss a dose, take it as soon as remembered; do not take it if its near the time for the next dose, instead, skip the missed dose and resume your usual dosing schedule. Do not double the dose to catch up. Store this medication at room temperature between 59 and 86 degrees F (15 to 30 degrees C) away from heat and light. Do not store in the bathroom. Keep this medication and all other medications out of the reach of children.